What made Wayne Gretzky the greatest hockey player of all time wasnt his speed on the ice or the uncanny accuracy of his shots, but rather his ability to predict where the puck was going to be an instant before it arrived. In other words, it was Gretzkys brain that made him exceptional. Over the past fifteen years, scientists have found that what distinguishes the greatest musicians, athletes, and performers from the rest of us isnt just their motor skills or athletic abilitiesâ€”it is the ability to anticipate events before they happen. A great musician knows how notes will sound before theyre played, a great CEO can predict how a business decision will turn out before its made, a great chef knows what a recipe will taste like before its prepared. In a powerful narrative that takes us from the research in the labs to the implementation of predictive technology inside companies, Vivek Ranadiv and Kevin Maney reveal how our understanding of human mastery is being applied to the way computers "think." In the near future, the authors argue, the most advanced computer systems and the most successful businesses will anticipate the future much like Wayne Gretzkys brain does. As a result, companies will be able to use a new generation of technology to anticipate customer needs before customers even know what they want, and see production snafus before they occur, traffic jams before they materialize, and operational problems before they arise. 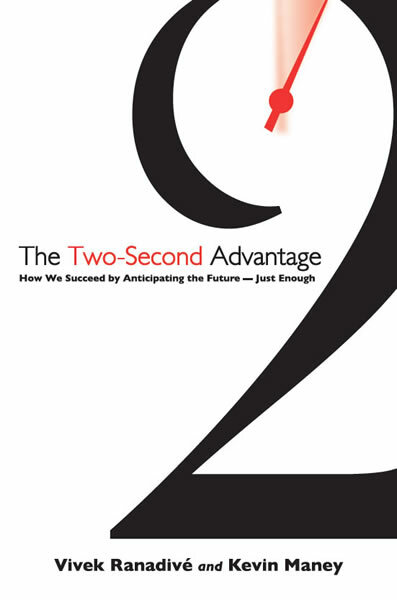 Forward-thinking companies will be able to predict the future just a fraction ahead of everyone else with a little bit of the right information at the right timewhat the authors call the two-second advantageand it will transform the way businesses are run and offer companies an enormous competitive edge in the marketplace.